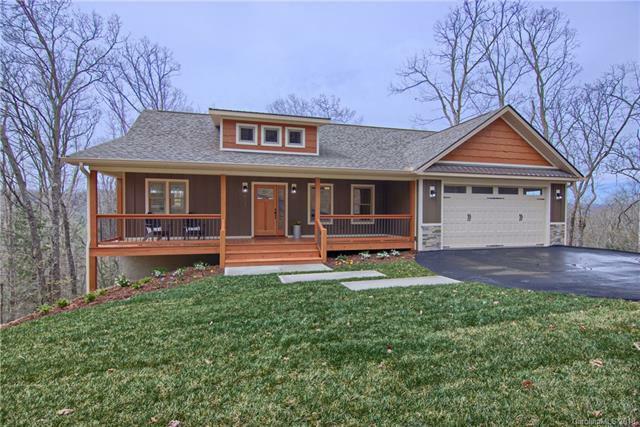 JUST REDUCED - QUALITY, NEW CONSTRUCTION AT EXCEPTIONAL PRICE - stunning home located in peaceful setting, convenient to Hendersonville and Asheville. This home features open floor plan with vaulted ceilings in great room, beautiful kitchen, granite throughout, hardwood floors, main level master, rec room, fitness room, office/bonus room, multiple decks, modern touches, lots of light, winter views, low maintenance yard, and so much more. A must see!